How does a troubled, black, gay youth from the Deep South grow up to become one of the most respected new journalist in the country? Every day, millions of people lose sight of their dreams when life's curveballs knock them off their feet and out of the game. But that was not the case for Lawayne Orlando Childrey, who has endured some of the most horrific trauma imaginable, including childhood sexual abuse, depression, violent and tragic deaths, a crack cocaine addiction, and an HIV diagnosis. With the grace of God, along with hard work and determination, Childrey beat the odds and became an award-winning and respected news journalist—a dream he carried since childhood. In his compelling autobiography, Peeling Back the Layers, Childrey demonstrates his ability to persevere during times of immense adversity by relying on the faith instilled in him as a child. His story is a beautiful beacon of hope for those carrying burdens that seem too heavy to bear." Self-publishing is one of the biggest trends of the book business. 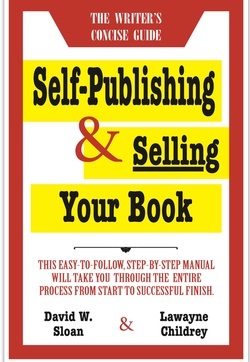 If you are wondering whether to self-publish, this book will help you decide. Or if you want to learn how to self-publish, this book will guide you through the process step-by-step. Of course, once you've published your book, you will want to sell it. To help you do that, this book will introduce you to the many marketing tools you can use to make your book a success. Cost $12.99 plus shipping. To request your copy of Self Publishing & Selling Your Book click on "Order" button below.